Professor Tsai-yu Lin is a professor at National Taiwan University’s (NTU) College of Law and the Director of its Asian Center for WTO & International Health Law and Policy (ACWH). Professor Lin has actively published books and articles in the areas of WTO laws, international investment Law and international health law. 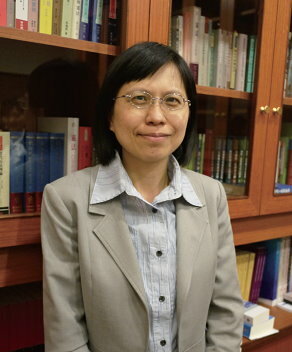 She is also the executive secretary of the Asian WTO Research Network (AWRN); commissioner of Taiwan’s International Trade Commission; a senior member of the Editorial Committees of “Asian Journal of WTO & International Health Law and Policy” and “Contemporary Asia Arbitration Journal”; and a member of the Indicative List of Governmental and Non-Governmental Panelists for resolving WTO disputes. Professor Lin currently advises Taiwan’s government on trade and related health law and policy issues. (1) Tsai-yu Lin (2018), “Tobacco investment and Human Rights: A Challenge for Taiwan’s ICESCR Implementation in Its Foreign Investment Policy” in Jerome Cohen, William Alford & Chang-fa Lo (eds), Taiwan and International Human Rights (Springer) (forthcoming). (2) Chang-fa Lo, Junji Nakagawa, Rajesh Sharma, Tsai-yu Lin, Lisa Toohey, Joseph Wira Koesnaidi, Jaemin Lee, Tomohiko Kobayashi, R.V. Anuradha, Julien Chaisse & R. Rajesh Babu (2018), Draft “Agreement on the Establishment of the Asia-Pacific Regional Mediation Organization,” Asian Journal of WTO & International Health Law and Policy, Vol.13, No.1, pp. 5-16 (SSCI Journal). (3) Chang-fa Lo, Junji Nakagawa, Rajesh Sharma, Tsai-yu Lin, Lisa Toohey, Joseph Wira Koesnaidi, Jaemin Lee, Tomohiko Kobayashi, R.V. Anuradha, Julien Chaisse & R. Rajesh Babu (2018), Draft “Rules of Procedure for Mediation Conducted under the Asia-Pacific Regional Mediation Organization,”Asian Journal of WTO & International Health Law and Policy, Vol.13, No.1, pp.17-26 (SSCI Journal). (4) Tsai-yu Lin (2018), “Making It a Treaty Obligation: Enforcement of Mediated Settlement Agreement under the ARMO,” Asian Journal of WTO & International Health Law and Policy, Vol.13, No.1, pp. 119-134. (SSCI Journal). (5) Chang-fa Lo, Junji Nakagawa, Tsai-yu Lin, Julien Chaisse, Lisa Toohey, Jaemin Lee, Tomohiko Kobayashi, Rajesh Sharma, R. Rajesh Babu, Joseph Wira Koesnaidi, and Anuradha RV (2017), Concept Paper on the Creation of a Permanent “Asia-Pacific Regional Mediation Organization” for State-to-State (Economy-to-Economy) Disputes, Contemporary Asia Arbitration Journal, Vol.10, No.2, pp. 321-336. (6) Tsai-yu Lin (2017), “Enhancing Labour Protection through TPP Labour and Investment Chapters,” in Julien Chaisse, Henry Gao & Chang-fa Lo (eds), Paradigm Shift in The Rule-Making of International Economic Law — TPP As a New Model for Trade Agreements? (Springer, Series "Economics, Law, and Institutions in Asia Pacific”), pp. 255-272. (7) Tsai-yu Lin (2017), “The Systemic Problems of Using an Investment Arbitration to Handle Investment Disputes Relating to Matters Governed by Other Chapters under an FTA,” Contemporary Asia Arbitration Journal, Vol.10, No.1, pp. 51-70. (8) Tsai-yu Lin (2016), “Will Different Formulations of FET Standards Matter Public Health Protection? – The U.S. and China Investment Treaty Practice as Examples,” in Chang-fa Lo, Nigel Li & Tsai-yu Lin (eds.) (2016), Legal Thoughts between the East and the West in the Multilevel Legal Order, A Liber Amicorum in Honor of Professor Herbert H.P. Ma (Springer), pp. 291-307. (9)Tsai-yu Lin (2016), “Inter-Mingling TRIPS Obligations with an FET Standard in Investor-State Arbitration: An Emerging Challenge for WTO Law?” Journal of World Trade, Vol.50, No.1, pp. 71-79 (SSCI Journal). (10) Tsai-yu Lin (2016), “Facilitating Coherent Application of WTO Law within and outside the Organization: Investment Regime as an Example,” in Julien Chaisse & Tsai-yu Lin (eds. ), International Economic Law and Governance: Essays in Honour of Mitsuo Matsushita (Oxford University Press), pp. 300-313. (11) Tsai-yu Lin (2014), “The Status of FCTC in the Interpretation of Compensable Indirect Expropriation and the Right to Adopt “Stricter” Tobacco Control Measures under BITs,” Asian Journal of WTO & International Health Law and Policy, Vol.9, No.1, pp. 123 -160. (SSCI Journal). (12) Tsai-yu Lin (2014), “Disputes Regarding Tobacco Control Measures under Investor-State Arbitration,” Chapter 8, in The Global Tobacco Epidemic and the Law (Edward Elgar) (2014), pp. 126-141. (14) Tsai-yu Lin (2013), “Preventing Tobacco Companies’ Interference with Tobacco Control through Investor-State Dispute Settlement under the TPP,” Asian Journal of WTO & International Health Law and Policy, Vol.8, No.2, pp.565-582. (SSCI Journal). (15) Tsai-yu Lin (2012), “Systemic Reflections on Argentina’s Non-Compliance with ICSID Arbitral Awards: A New Role of the Annulment Committee at Enforcement?” Contemporary Asia Arbitration Journal, Vol.5, No.1, pp. 1-22. (30) Tsai-yu Lin (2006), “Regional Procurement Arrangements in East Asia: Some Reflections for the WTO Rules,” Asian Journal of WTO & International Health Law and Policy, Vol.1, No.2, pp. 348-378. (31) Tsai-yu Lin (2006), “Addressing the Issue of Trade in Services and Public Health in the Case of Tobacco-Are the FCTC Restrictions on Tobacco Advertising Inconsistent with the GATS?” The Journal of Word Investment & Trade, Vol.7, No.4, pp. 545-561. (34) Tsai-yu Lin (2005), “WTO Compliance Proceedings under Article 21.5 of DSU and Doha Proposed Reform,” The International Lawyer, Vol.39, No.4, pp. 915-936. (50) Tsai-yu Lin (1999), “Trade and Intellectual Property- A GATT/WTO Connection,” Journal of Import Relief, Vol.14, 1999, pp. 1-24. (1) Tsai-yu Lin (2017), Enforcing Food Safety Regulations through Private Parties: A Shift in Governments’ SPS Responsibility?, Food and Law Conference organized by Chinese University of Hong Kong, Hong Kong, December 1, 2017. (2) Tsai-yu Lin (2017), The Problems of Using Changing Institutional Arbitration Rules for Investment Treaty Disputes, 2017 Taipei International Conference on Arbitration and Mediation, Taipei, Taiwan, August 28-29, 2017. (3) Tsai-yu Lin (2016), Using Mega FTAs as a Vehicle to Enhance Inclusiveness of Trade in Food, WTO Public Forum, Geneva (Switzerland). Sep. 28, 2016. (4) Tsai-yu Lin (2016), Investment Arbitral Tribunals’ Power to Review Investors’ Criminal Misconducts in Host State Laws, 2016, Taipei International Arbitration and Mediation Conference, organized by Arbitration Association of the Republic of China and the Asian Center for WTO and International Health Law and Policy, College of Law, National Taiwan University, Taipei, Taiwan, August 29-30, 2016. (5) Tsai-yu Lin (2016), Coherent Application of Labor Protection across Chapters in TPP: Labor and Investment Chapters as an Example, Conference on Transpacific Partnership: A Paradigm Shift in International Trade Regulation? Organized by The Chinese University of Hong Kong (CUHK) & Asia WTO Research Network (AWRN), Hong Kong, May 16-17, 2016. (6) Tsai-yu Lin (2015), Promoting Greater Coherence in Trade and Investment Regimes and FCTC Implementation: A Systemic Perspective on Future Role of the FCTC, 2015 International Conference on FCTC, 26-27 October 2015. (7) Tsai-yu Lin (2015), Is Modifying BIT a Feasible Solution to Limit Investor’s Existing Access to Investment Arbitration? 2015 Taipei International Conference on Arbitration and Mediation, organized by Arbitration Association of the Republic of China and the Asian Center for WTO and International Health Law and Policy, College of Law, National Taiwan University, Taipei, Taiwan, September 6-7, 2015. (8) Tsai-yu Lin (2015), Establishing Appropriate Dispute Settlement Mechanisms for Disputes Crossing Trade and Investment Chapters under FTAs, 2015 Joint IEL Asia Conference “Regionalism in Asia-Pacific and Beyond: Challenges and Opportunities”, Bali, Indonesia, 20-21 July 2015. (9) Tsai-yu Lin (2014), Connecting Chapters on Investment and Trade and Dispute Settlement under Free Trade Agreement , 2014 Taipei International Conference on Arbitration and Mediation, organized by Arbitration Association of the Republic of China and the Asian Center for WTO and International Health Law and Policy, College of Law, National Taiwan University, Taipei, Taiwan, August 30-31, 2014. (10) Tsai-yu Lin (2014), Inter-Mingling TRIPS with Investor-State Dispute Settlement: A New Means of Enforcing WTO Law? Society of International Economic Law Biennial Conference, Bern, Switzerland (10-12 July 2014). (11) Tsai-yu Lin (2014), Mechanism to Ensure Coherent Interpretation of WTO Rules within and outside the Organization: Investment Regime as an Example, Asia WTO Research Network Annual Conference AWRN at 10: “Re-invigorating a Momentum for WTO Negotiations after Bali Conference and Strengthening the Governance of International Trade,” held at the Asian Center for WTO and International Health Law and Policy, College of Law, National Taiwan University, Taipei, Taiwan, 14 & 15 June 2014. (12) Tsai-yu Lin (2013), Eli Lilly’s Expropriation Challenge against Canada for Pharmaceutical Patent Invalidation: Inter-Mingling TRIPS with Investment Disputes? 2013 Conference on International Health and Trade, organized by Office of International Cooperation, Ministry of Health and Welfare and the Asian Center for WTO and International Health Law and Policy, College of Law, National Taiwan University, Taipei, Taiwan, October 1-2, 2013. (13) Tsai-yu Lin (2013), The Use of BIT Remedies for WTO/TRIPS Violations under Investor-State Arbitration, 2013 Taipei International Conference on Arbitration and Mediation, organized by Arbitration Association of the Republic of China and the Asian Center for WTO and International Health Law and Policy, College of Law, National Taiwan University, Taipei, Taiwan, August 30-31, 2013. (14) Tsai-yu Lin (2013), Preventing Tobacco Industry Investment Challenge at TPP: Exclusion of Tobacco Control Measures from Investor-State Arbitration, Asia WTO Research Network Annual Conference & ACWH at 10: “Asia’s Plurilateral Trade Agreements: TPP, ASEAN and Beyond,” held at the Asian Center for WTO and International Health Law and Policy, College of Law, National Taiwan University, Taipei, Taiwan, 15 & 16 June 2013. (15) Tsai-yu Lin (2012), Maintaining the Legitimate Stricter Tobacco Control Regulations in Investment Arbitration on Indirect Expropriation, 2012 International Conference on FCTC, held at the Asian Center for WTO and International Health Law and Policy, College of Law, National Taiwan University, Taipei, Taiwan, October 23-24, 2012. (16) Tsai-yu Lin (2011), Will the FCTC Obligations be Relevant in the Context of Investment Arbitration? Reflections from Some Cases, 2011 Taipei International Conference on Arbitration and Mediation, organized by Arbitration Association of the Republic of China and the Asian Center for WTO and International Health Law and Policy, College of Law, National Taiwan University, Taipei, Taiwan, September 2, 2011. (17) Tsai-yu Lin (2010), EC-IT Product Case: ITA Product Coverage, Technological Development and Uncertainty, Conference on Trade Remedy, Financial Crisis and the Challenge to the WTO, organized by International Trade Commission and the Asian Center for WTO and International Health Law and Policy, College of Law, National Taiwan University, Taipei, Taiwan, October 29, 2010. (18) Tsai-yu Lin (2010), Considering WHO FCTC Obligations in Arbitrating Investment Treaty Dispute: Restrictions on Tobacco Packaging as an Example, 2010 Conference on International Health and Trade, organized by Bureau of International Cooperation, Department of Health and the Asian Center for WTO and International Health Law and Policy, College of Law, National Taiwan University, Taipei, Taiwan, July 22, 2010. (19) Tsai-yu Lin (2009), The Stay of Enforcement of ICSID Awards Pending Annulment Proceedings: Recent Decisions Relating to Argentina Financial Crisis, 2009 Taipei International Conference on Arbitration and Mediation, organized by Arbitration Association of the Republic of China and the Asian Center for WTO and International Health Law and Policy, College of Law, National Taiwan University, Taipei, Taiwan, October 16-17, 2009. (20) Tsai-yu Lin (2009), Addressing Alternative Crops to Tobacco Growing: Considerations from the WTO Agreement on Agriculture, 2009 International Conference on FCTC: Control of Demand and Supply of Tobacco and International Trade, held at the Asian Center for WTO and International Health Law and Policy, College of Law, National Taiwan University, Taipei, Taiwan, August 28-29, 2009. (21) Tsai-yu Lin (2009), A Forgotten Role of WHO/International Health Regulations in Trade Responses to 2009 A/H1N1 Influenza Epidemic, Workshop on Public Health: Health Policy, Legal Issues and Trade, organized by Bureau of International Cooperation, Department of Health, Taiwan, July 23-24, 2009. (22) Tsai-yu Lin (2009), Free Trade in Information Technology Goods: Exploring a Guideline for Guarding ITA Covered Products under Technological Changes, 2009 international conference on “The Future of the WTO,” organized by the Asian Center for WTO and International Health Law and Policy, College of Law, National Taiwan University, Taipei, Taiwan, May 24, 2009. (23) Tsai-yu Lin (2008), Arbitration as an Alternative Dispute Resolution within the WTO: A Perspective on Intellectual Property Dispute, 2008 International Arbitration Conference in Taipei: Mediation, Arbitration and Recent Development, held at the Arbitration Association of the Republic of China, Taipei, Taiwan, November 21, 2008. (24) Tsai-yu Lin (2008), Arbitrating Transnational Disease Controls? Considerations on Dispute Settlement Mechanisms under the WHO International Health Regulations, Workshop on Public Health: International Trade and Domestic legal Issues, Bureau of International Cooperation, Department of Health, Executive Yuan, October 16-17, 2008, Taipei, Taiwan. (25) Tsai-yu Lin (2008), Exploring a Modest Balance for Trade in Tobacco, Anti-Tobacco Smuggling and Health Concerns: in light of the Dominican Republic- Cigarettes Case, 2008 International Conference on Illicit Trade in Tobacco Products, held at the Asian Center for WTO and International Health Law and Policy, College of Law, National Taiwan University, Taipei, Taiwan, August 1-2, 2008. (26) Tsai-yu Lin (2007), Compulsory License, Access to Medicines and Investor-State Arbitration under Bilateral Investment Agreements, 2007 International Conference on Bilateral Investment Agreements: Protection, Promotion, and Development of International Investment, Department of Investment Services, Ministry of Economic Affairs, Taipei, Taiwan, November 28-29, 2007. (27) Tsai-yu Lin (2007), Exploring the Link between Trade and Culture Concerns in Trade Remedy, International Conference on Cultural Diversity under International Trade Regime: Policy and Practices, held at the Asian Center for WTO and International Health Law and Policy, College of Law, National Taiwan University, Taipei, Taiwan, June 28-29, 2007. (28) Tsai-yu Lin (2007), Remedies for Prohibited Export Subsidies under Article 4 of SCM Agreement: Some Observations from A Dispute Settlement Procedural Sense, 2007 International Conference on Policy and Laws of Asia and WTO Rules and Practices of Dispute Settlement Mechanism, held at College of Law, National Taiwan University, Taipei, Taiwan, 11 March 2007. (29) Tsai-yu Lin (2006), Regional Procurement Arrangements in East Asia: Some Reflections For the WTO Rules, 2nd International Conference on Policy and Laws of Asia and WTO Rules, Practices and Policies of Government Procurement, held at College of Law, National Taiwan University, Taipei, Taiwan, July 27, 2006.